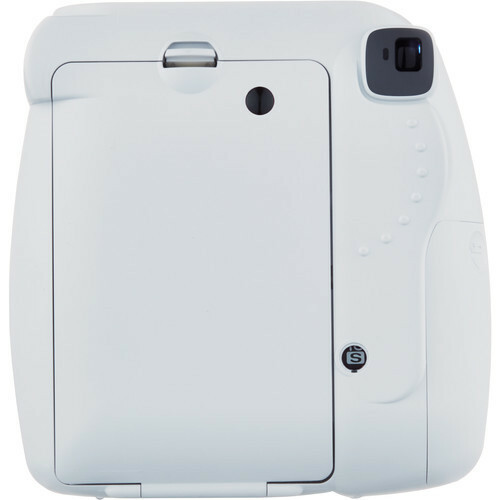 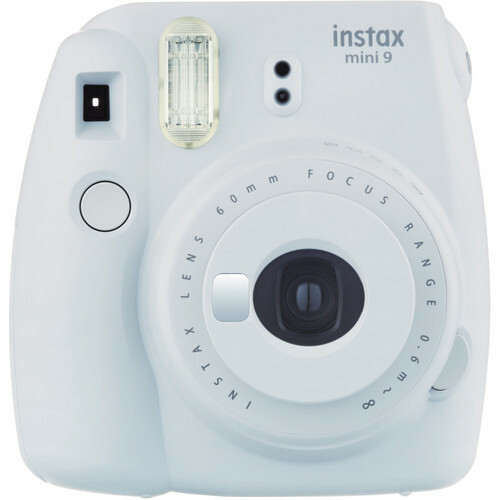 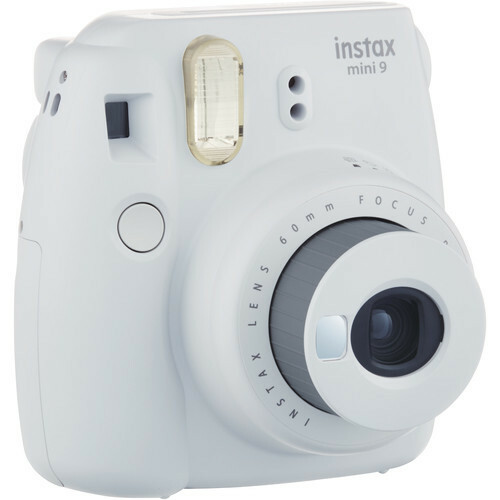 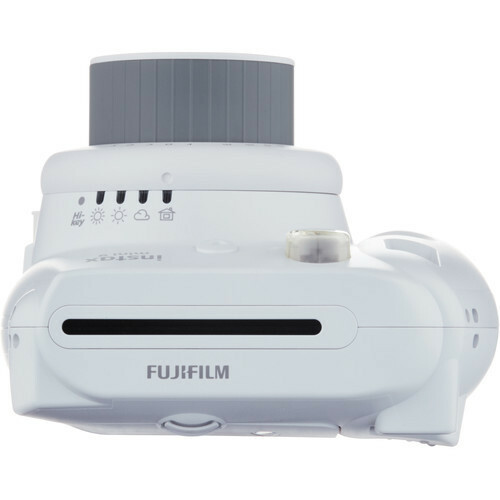 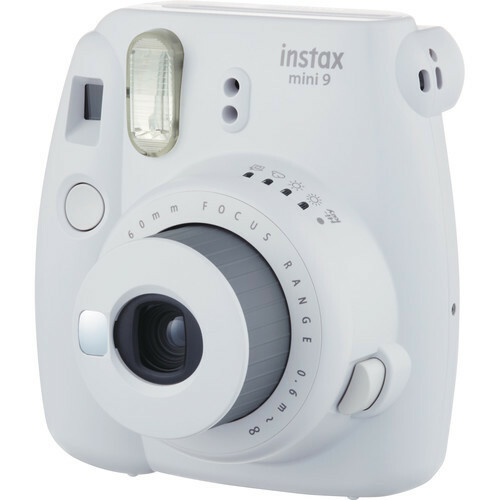 A compact instant film camera, the smoky white instax mini from Fujifilm has been updated for selfie shooters and features a range of convenient controls for producing credit card-sized prints. 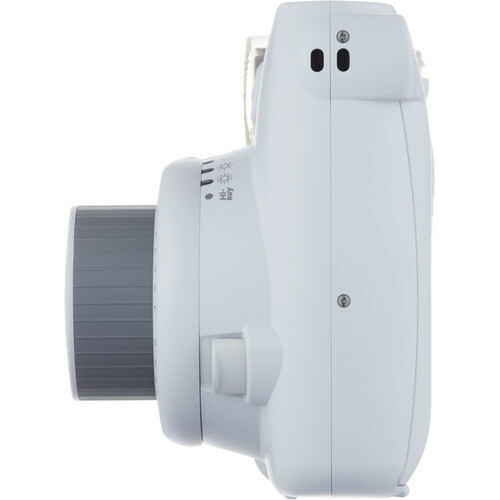 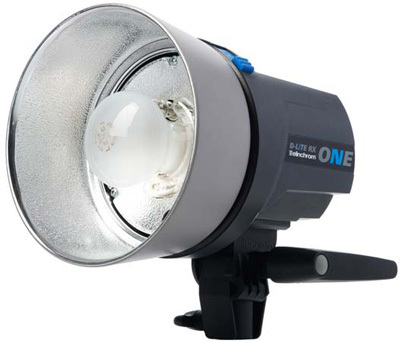 The sleek design incorporates a Fujinon 60mm f/12.7 lens, which offers a fixed focus from 2' to infinity, and a small selfie mirror is built into the front of the lens design for accurately composing self-portraits. 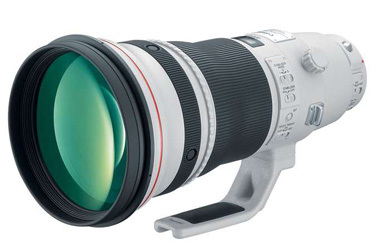 Alternatively, a macro attachment lens is included to reduce the minimum focus distance for working with close-up subjects. 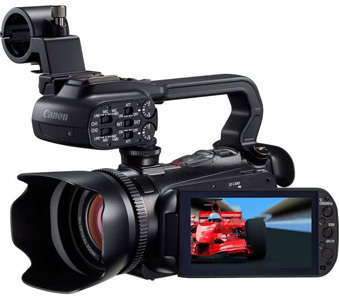 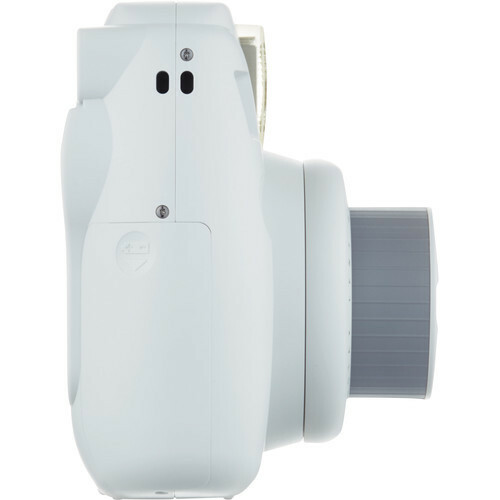 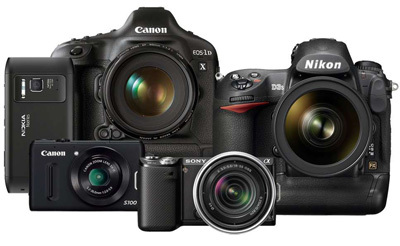 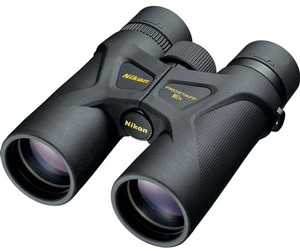 For general shooting, the optical viewfinder is available and incorporates a central target spot to aid in composing images.